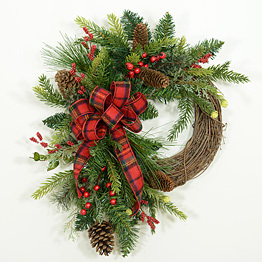 Tastefully accented with natural pine cones, fruit, and delicately scented cinnamon sticks. 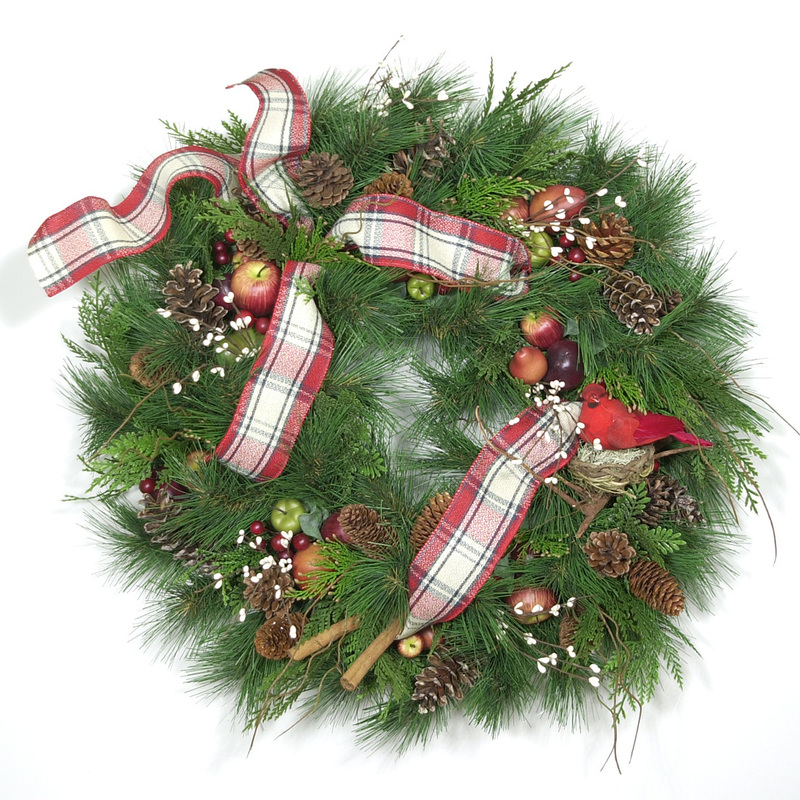 A beautiful plaid flannel ribbon is woven throughout. 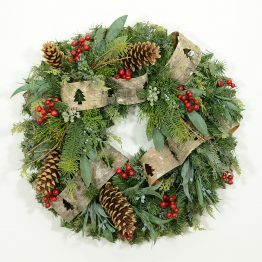 Built on a high quality, artificial pine base. 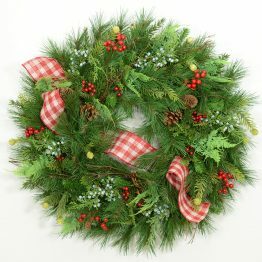 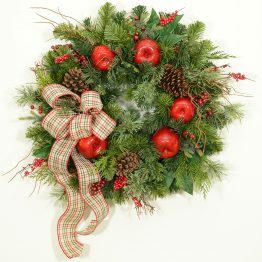 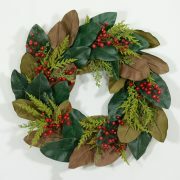 The size and tone of this holiday-winter wreath, makes it a great choice as a front door wreath.